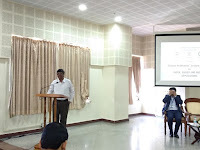 The department of Life Sciences successfully organised the Science Academies’ Lecture Workshop on ‘Shock Waves and Medical Applications’, in collaboration with the three Science Academies - Indian Academy of Sciences, Bangalore, Indian National Science Academy, New Delhi and the National Academy of Sciences, Allahabad on March 7, 8, 2018. 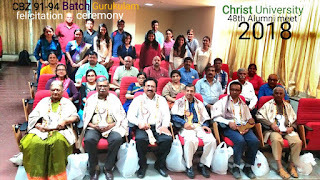 The event started at 9:30 am on March 7, with an inaugural ceremony in Sky View, Central Block, of the Main Campus of CHRIST (Deemed to be University) . The inaugural address was delivered by Fr. Dr. Abraham V M, Pro-Vice Chancellor. 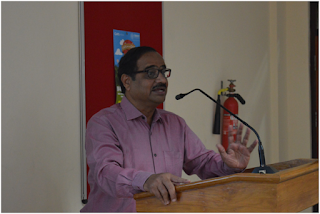 The welcome address was given by Dr.Sayantan D, Assistant Professor, Dept of Life Sciences and the Workshop coordinator. 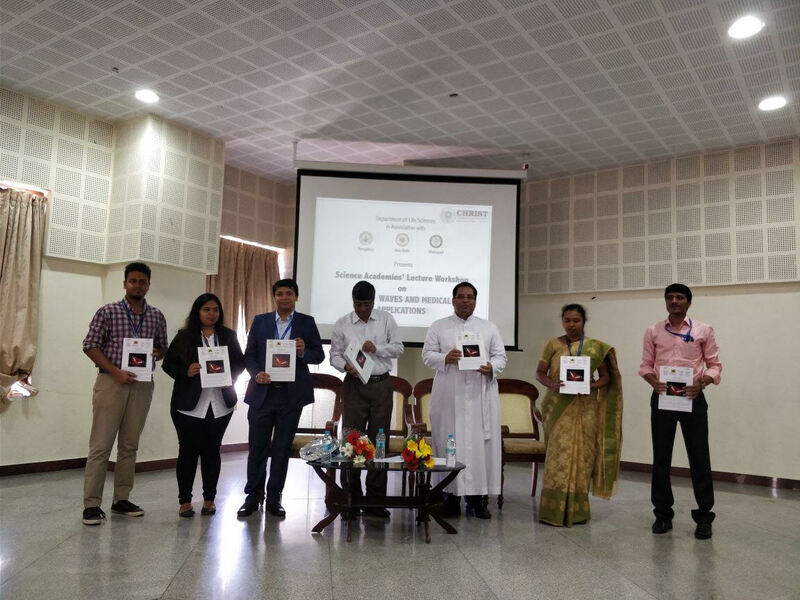 The chief guest of the event was Prof. Gopalan Jagadeesh, IISc Bengaluru, who also released the annual magazine of the Department of Life Sciences, BIOLINK 2018 after the inauguration. The formal inaugural address ended with a vote of thanks by Dr Suma S, Associate Professor, Dept of Life Sciences. 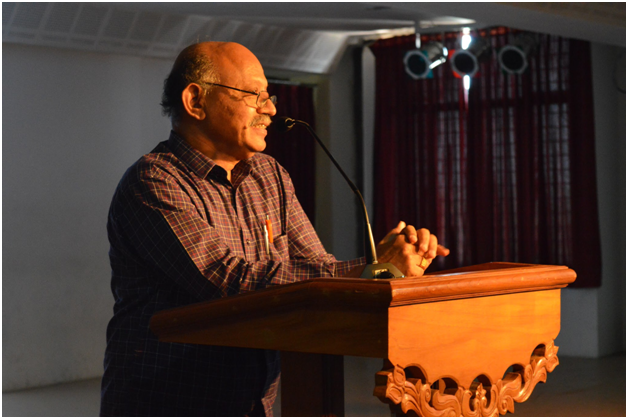 The first two lectures of the day were given by Prof. Gopalan Jagadeesh, IISc on “Shockwaves - An Introduction” and “Terrestrial Applications of Shock Waves”. Post lunch, this was followed by lectures on “Chemical Kinetics” and “Chemical Kinetics Studies Using Shock Tubes” by Prof. E Arunan, IISc.Day 2 (March 8) kickstarted by a session on “Industrial and Medical Applications of Shock Waves” by Prof. K.P.J. Reddy, IISc, followed by a talk on Shock Waves in Material Research by Prof. V. Jayaram. 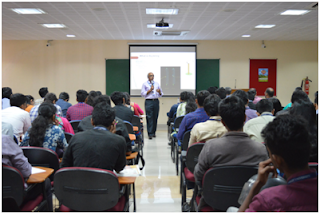 After lunch, Prof.DipshikaChakravortty, IISc, convener of the workshop, conducted two sessions on “Biological Applications of Shock Waves”. The highlight of the morning session was an amazing demonstration of the shock tube by Dr Reddy and Dr Jayaram. The students were very enthusiastic and actively participated in the demo. To conclude the workshop, Dr. Riya Datta, HOD of Chemistry gave the valedictory address, followed by Prof.DipshikaChakravortty, the Convenor off the workshop, who addressed the gathering. The workshop ended with a vote of thanks by Niketa Nerurkar, student coordinator of the workshop. The 2-day workshop brought experts from a variety of backgrounds to discuss the various scientific applications of shock waves in our world today. Ranging from Physics to Geology to Chemistry to Medicine, shock waves have had a significant impact on many fields. The objective of the workshop was to allow students and faculty members to benefit from the experts and to learn how it is making research easier and more effective, as well as explaining puzzling scientific phenomena. This workshop, therefore, aimed to have a better understanding of the applications of shock waves in particular, and how they are changing the world of science as we know it today. This workshop allowed participants to learn, explore and innovate in the spectrum of shock waves and medical applications. The department of Life Sciences released the annual newsletter, BIOLINK on March 7, 2018. The Chief Guest of the event was Dr Gopalan Jagadeesh, Professor of the Department of Aerospace Engineering, Indian Institute of Science. The Faculty editors of BIOLINK 2018, Ms Vasantha V. L and Dr Harinatha Reddy and the student Editors NilketaNerurkar and Devangshu Nandi were also present for the release of the newsletter. The newsletter served as a platform for the students of Life Sciences to express their writing skills. It also portrayed interview of experts on career opportunities in the field of Life Sciences. The workshop was inaugurated at 9:00 a.m. with the lighting of lamp by Fr. 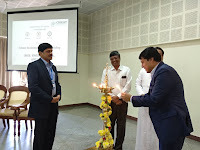 Antony Puthussery, Campus co-ordinator, Dr. Devraj, Guest Speaker, Prof. Raghunandan Kumar, HOD Department of Civil Engineering, Dr. Arvind H.B, Dr. Narasimha Murthy and CACE student representative. 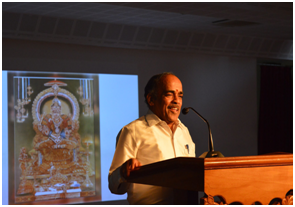 Prof. Raghunandan Kumar welcomed the gathering, followed with the Presidential Address by Fr. Antony Puthussery. Dr. Devraj introduced the participants of the workshop to the topic of reliability. He started with the evolution of codes,the central role of the code is a set of requirements that must be satisfied by the designer so that the designed structure will have minimum acceptable level of safety. • Structure has three filters- Stiffness (K), Mass (M) of the material and the damping coefficient of the material (C). • Structural flaws and defects can be eliminated by quality control and inspection. • Adverse effect on structure is time, over-loading, human errors and low quality of materials. • Two types of probabilities: Objective and Subjective. • Design Philosophy - In Allowable stress design - resistance must be greater than load. Load factor design where the loads must be multiplied by 1.5. R=strength and S=load if R>S it is safe, R<S- fails, if R=S- limit state. • Concepts of reliability - In reliability we have to determine performance function, concepts of reliability index. 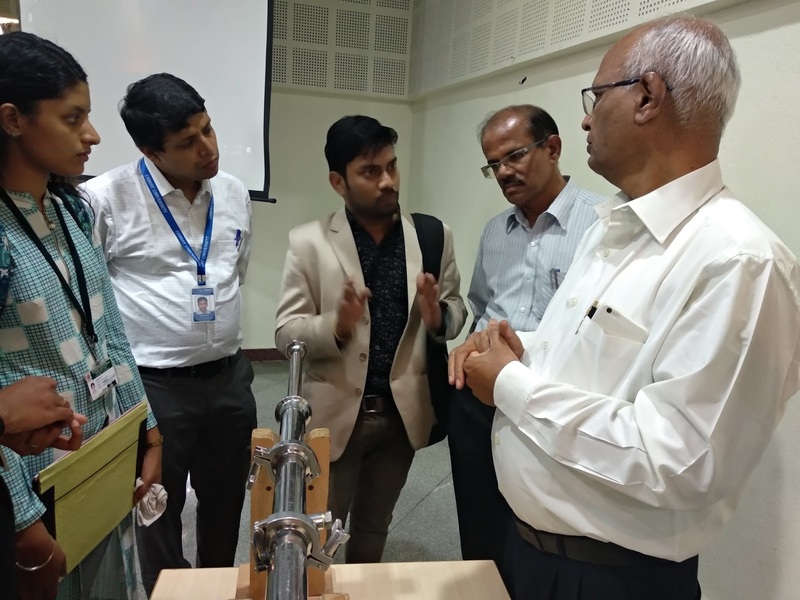 Dr. R Ravindra initially briefed the participants about the cable stayed bridges, its components, arrangements of cables and pattern of load transfer in cable stayed bridges. He explained on the analysis of cable stayed bridges showing the results of his PhD Thesis. • The three approaches of energy methods. • Strain energy due to buckling, shear and energy method applied to buckling. • Calculation of load by energy method. • Analysis of plates for different boundary conditions. bucklingand factors affecting section slenderness. Dr. Sunil Tengli explained about the beam-column effect in a portal frame, detailed on the failure of short columns due to material and yielding, failure of long columns, behavior of column at ultimate load and details of design procedure of beam columns. The workshop concluded with the valedictory function. 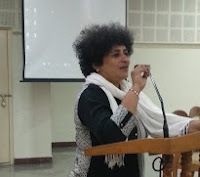 Prof. Glady Jacob, Administrator, Kengeri Campus Christ (Deemed to be University) addressed the gathering during this occasion and appreciated for conducting such workshops. 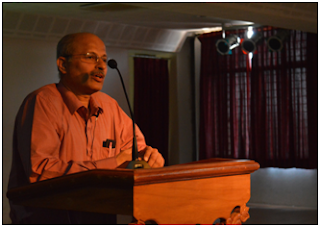 Prof. Srinidhi delivered the vote of thanks. 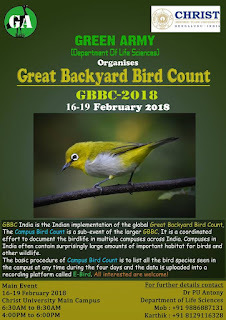 Report on Great Backyard Bird Count (GBBC) organized by the Green Army (Dept of Life Science) during February 16-19, 2018. 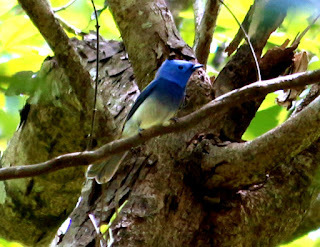 GBBC is a four-day annual event aimed primarily at contributing to global data on bird database, but it also makes people aware of the birds around them and helps them understand bird behavior by observing them. It is a great opportunity to learn and at the same time contribute important data. Basically, the number of individuals of different species of birds seen or heard are counted and recorded at uniform time intervals and these checklists are uploaded onto the global platform ebird. This comes up with a proper account of bird diversity across the world. The GBBC is the time of the year, every bird enthusiast waits for, due to it being peak migration time, and it is an immensely fun event! GBBC 2018 happened from February to 16-19 in Christ University Campus under the guidance of Dr P U Antoney. The members of the Green Army were the primary data collectors. The survey was conducted from 6:45 AM to 8:30 AM and 4:30 PM to 6:30 PM. Birds were identified through binoculars, camera and calls, the number of individuals were added on to the data sheet and the campus was divided into five areas and each group surveyed the respective area in the campus.51 different species of birds were identified during this time from our campus. A great increase in the number of species was observed when compared to last year. 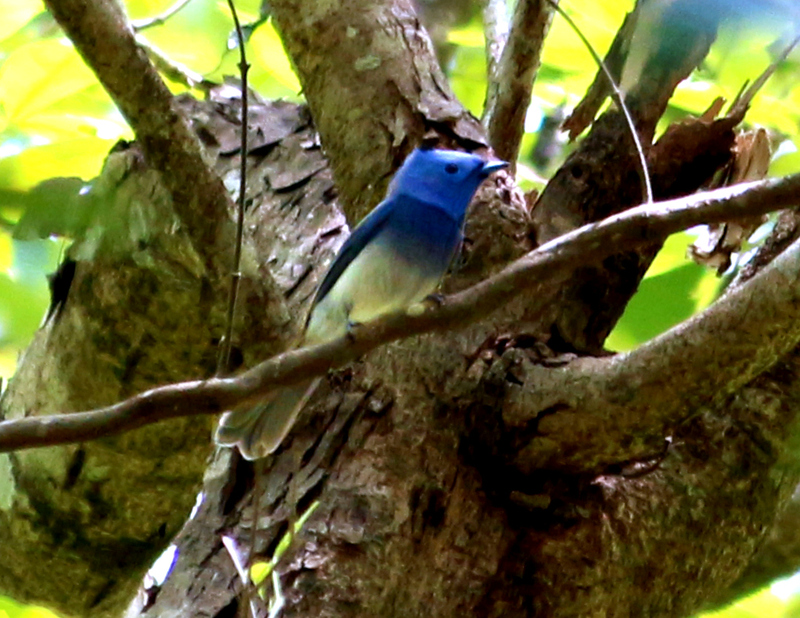 Chestnut-tailed Starling, Black- naped monarch and Green warbler were the new species identified in our campus. Brahminy Starling, Greenish warbler, Red wattled Lapwing were also part of the highlights of GBBC 2018. The Alumni Meet of the department of Life Sciences of CHRIST (deemed to be University) was conducted at 3.00 PMon January 26, 2018 in the Council Room, Central Block of the Main Campus. The event kick started with Fr Jobi Xavier, HOD of Life Science Department cutting the cake. This year the event was special due to the presence of three distinguished alumni of the very first CBZ batch of the University- 1969 batch. Prof Eden Joseph was instrumental in connecting with the1969 batch alumni and inviting them for the event. There was another fact to cherish the event as the CBZ 1991-94 batch alumni had come prepared to felicitate their Professors. The distinguished Professors who were formally felicitated by the 1991 batch included Prof Eden Joseph, Prof ArulChellaswamy, Prof Priyadarshini P Maddi, Prof DephenPinherio, Dr Johny Joseph, Prof Manjunath B T and Prof Ganesh S. The 1991 CBZ batch shared many memories of their undergraduate days. The faculty, alumni and a few volunteers from the current batch students had a photosession. The day ended with a happy bunch of people – both the alumni and the faculty - going back home with a contended heart.